I’m actually really terrible at baking anything other than cookies and cake. Pies, breads, pastries…or anything that I need to knead or roll, I’m just terrible at it. I know it just takes practice, but I can never get the perfectly even and beautifully crimped pie crusts. Or that perfect, super flaky and melt-in-your-mouth pie crust? Not my forte. I’m more of a throw-it-in-a-bowl-give-it-a-stir-then-divide-between-cupcake-liners kind of girl. That’s my jam. But you know what? I’m way more of a pie person than I am a cake person. Back when I was in high school, I played Maplestory [YEAH THAT’S RIGHT], and the GMs divided everyone into Team Cake or Team Pie. HOW DO YOU CHOOSE? CAKE OR PIE?! I got sorted into Team Pie and I was devastated. I longed to have the little cute cake sign float over my head. I thought the pink frosting and red cherry on top were so pretty and way nicer than pie. Plus I was a firm believer that cake was way better. How could you go wrong with frosting? But I was naive. Pie, oh pie. I apologize for any flack I gave you. You are clearly the superior choice. The perfectly flaky crust, the sweet and gooey filling… ranging from sweet, to creamy, to fluffy and light as a dream. But cake? Cake is always sponge plus frosting. Sometimes sponge plus ganache and frosting. 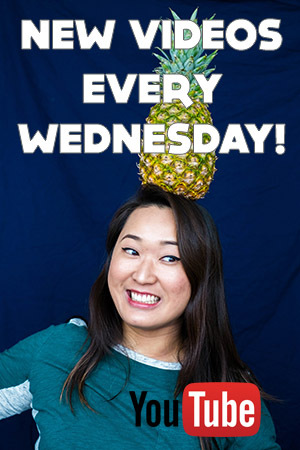 But fresh fruit, spices, and pie crust and fillings galore. That’s the way to be. The Maplestory Gods knew I was really Team Pie all along. To celebrate EPIC PI DAY (3.14.15!!! ), obviously I made a pie. I was determined to make a good, vegan pecan pie with no corn syrup or tofu, but was still thick and gooey with caramelized deliciousness. I based my recipe loosely on Hell Yeah, It’s Vegan! and Vegetarian Snob. I was so intrigued that HYIV’s recipe used salted crackers! I thought, oh my god, that’s such a good idea. It acts as a filler and adds body to the recipe while contributing an undertone of saltiness. My friends had no idea there were crackers in it, either. Just try it, it’ll be good. PROMISE. Anyway, my other blogger friends made Pi Day recipes too. Go check em out! They’re not vegan, but they’re pretty nonetheless. I will love unconditionally anyone who makes me a vegan lemon meringue pie. Once chilled, remove from fridge and roll out until 1/4 inch thick and it fits your pie pan. Wrap your rolling pin with the pie crust to easily roll it out over the pie pan. Gently shape the pie crust to meet the crevices of the pie pan. Use a knife to trim the edges of the pie crust, then crimp the sides or leave as is. Use a fork to poke holes all along the bottom to prevent bubbles. Cover the edges of the crust with aluminum foil to prevent burning the edges. Bake at 325ºF for about 10 minutes. The crust will shrink a little bit, depending on your pan, so give it about 1/2 inch to an inch to shrink down to. Remove from oven and set aside. In a skillet, melt coconut oil over medium heat. 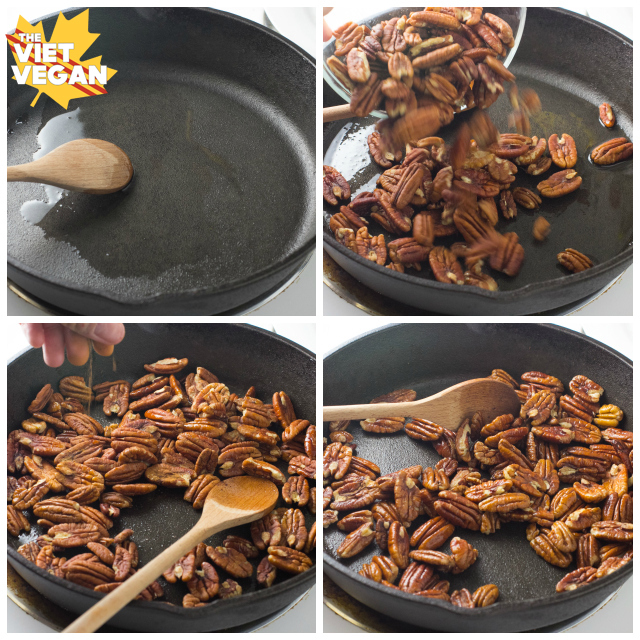 Toss pecans into the pan and stir until lightly coated in oil. Sprinkle cinnamon on top and continue stirring until pecans are fragrant and lightly toasted (about 3-4 minutes). Watch carefully and stir constantly because they burn really quickly. Remove from pan and set aside to cool. Roughly chop pecans once cooled. You can reserve about 1/2 cup of them whole to leave on top for decoration. In a small bowl, mix flax meal and warm water and let sit until thickened and gelled (about 5 minutes). 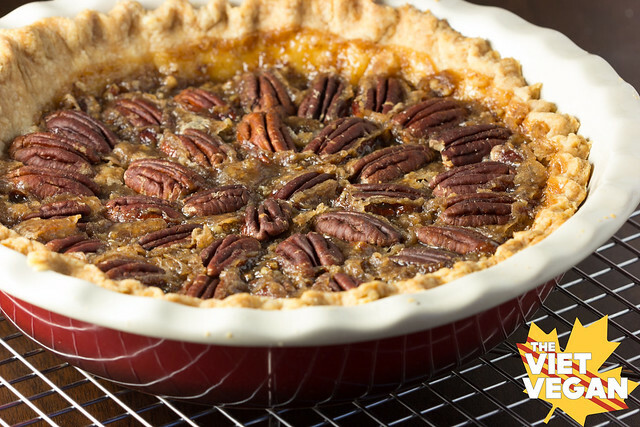 Keep edge of pie protected with aluminum foil, and bake for about 30-40 minutes. Remove aluminum foil from edges and continue to bake until edges are golden and the pie filling is mostly set but a little jiggly in the middle when you gently shake the pie—about another 10-15 minutes. Remove from oven and let cool on a wire rack. It's best to let it sit until slightly warmed or completely cool before serving. Cut and enjoy! 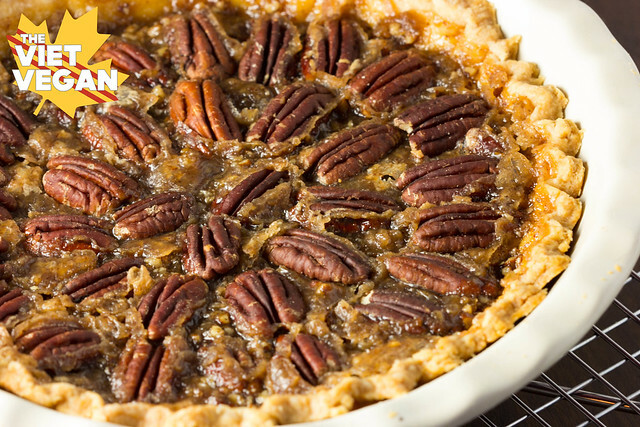 *This recipe makes two pie crusts (or a top and a bottom), so you have another pie crust for later, or you can double the filling recipe and make two pecan pies. This is labeled as soy-free but I haven't been able to find any"butter" sticks that aren't made with soy. Do you have a brand or website? Do I need the salted crackers? What elsee would work? Hi Jeffrey,The salted crackers kind of act like a binding agent and add a little salt content. You can leave them out, but I don't know how it would work in a large pie form. I didn't use them in my adapted version of these butter tarts. The pie is amazing but how do you keep the crust from sagging down the side of the pie pan? Can you use premade frozen crusts? 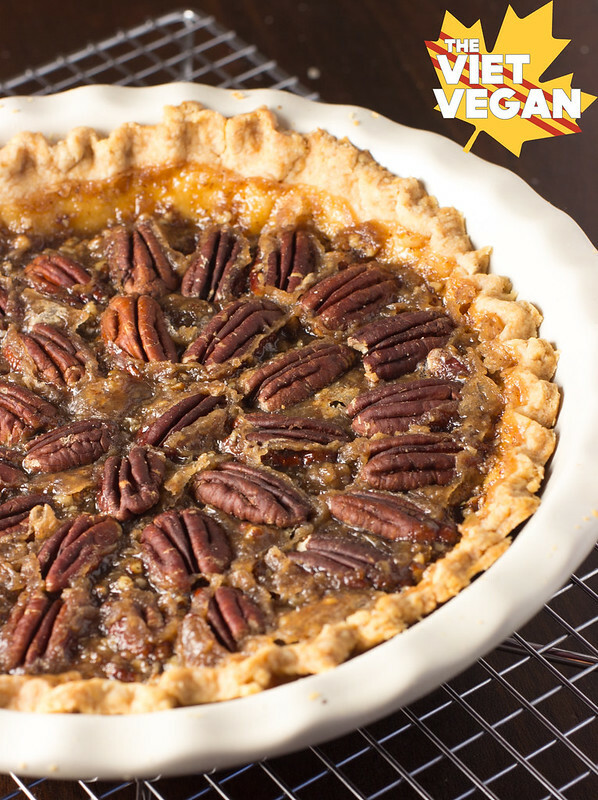 I would love to try this - I haven't had pecan pie since becoming vegan over 30 years ago! But, I HATE MAKING CRUSTS! Please help! Looking forward to something other than pumpkin and blueberry pies this year! I totally get you with the crust thing. This can for sure be made with a frozen crust, I think you just need to prebake it as written in the instructions on the package. But if you ever feel like making an easy, vegan crust and you have a food processor, try my new favourite pie crust recipe. Thank you for getting back with me. I will make it with the frozen variety this year...next year I'll be more brave! Instead of the flax could you use ener-g egg replacer? Awesomeness at its finest.....I made it, came out bomb!!!! #vegans rule! Thanks for the recipe. 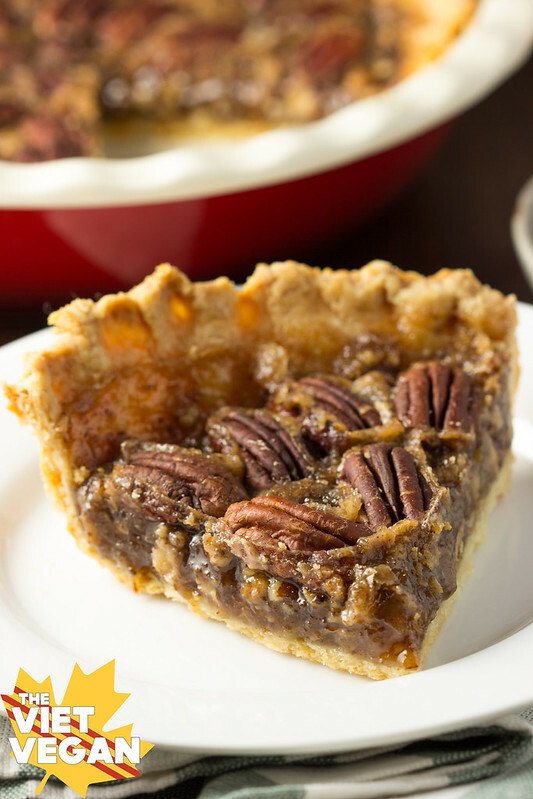 This is the BEST vegan pecan pie a of all time...make it you won't be sorry!! Awesome Thanksgiving Surprise! This pie is perfect. 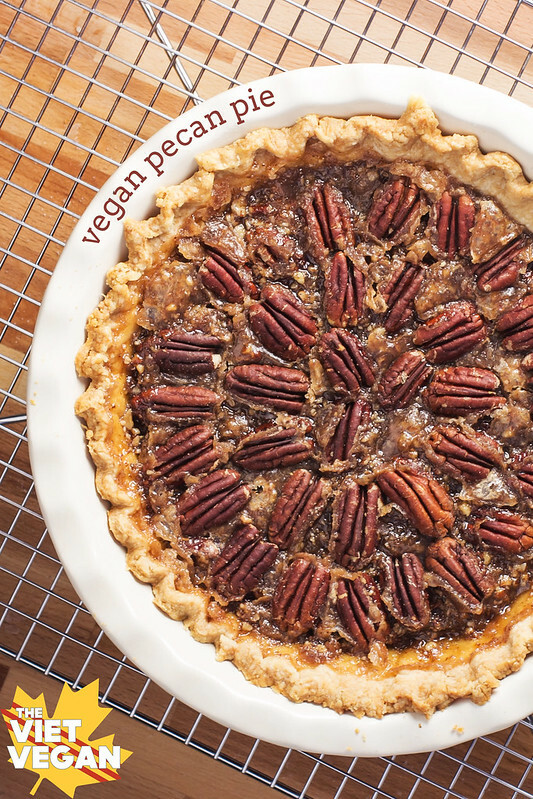 This was a really fabulous recipe - I made another vegan pecan pie a couple of weeks ago but it turned out slightly too soupy. This came out much nicer - thanks for the great recipes! This pie came out delicious! I added in some raw cocao and dark chocolate chips..was divine! Thanks Almiel! 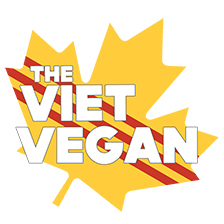 I always use vegan sugar (luckily most manufacturers in Canada are vegan), but not everyone who reads my blog may know. I enjoyed making this, I made it for my boyfriend who is into trying vegan foods and he loved it. I think this is an awesome recipe though I bought a pre made crust though not vegan. I hope to try the crust when I make it for Thanksgiving. Thanks again for having a delicious vegan alternative to make for special events. I can't thank you enough!!! What are salted top crackers? Like saltines? Your directions don't state specifically when to put the pecan halves on top. Do you do that before you put it in the oven or part way through baking? 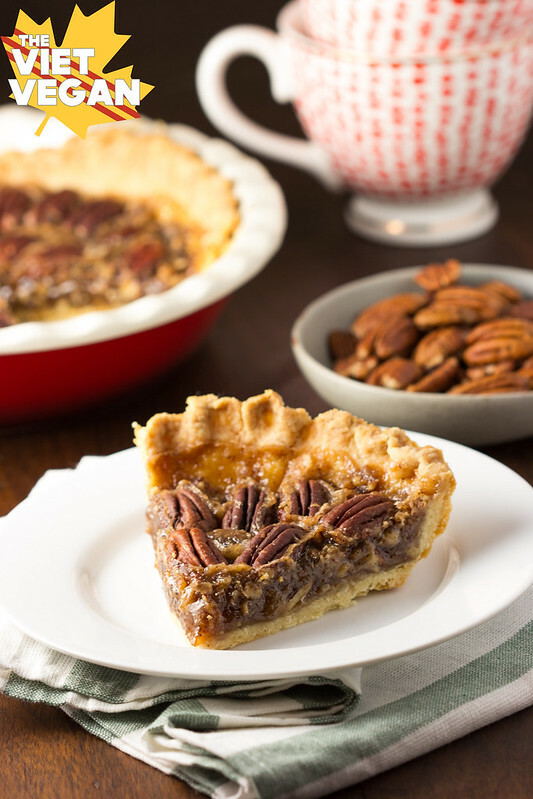 I've been slowing making the switch to cleaner eating so I am needing a healthier version of my extremely unheathy pecan pie that everyone expects at Thanksgiving and this one sounds delish! I put them in just before putting them in the oven, but in retrospect, I would have poured the filling on top of them because they got a little toasty since they were unprotected on top. I hope you like this recipe! I made this pecan pie and ir tastes wonderful! Thanks for sharing the recipe especially I needed a no egg recipe. This recipe turned out great! I didn't have quite enough pecans, so I added about 1/4 - 1/2 cup of chopped walnuts. My boyfriend is vegan and gives it a thumbs up too! Definitely going to make this again. Is it possible to cook the filling ahead of time to bake a few hours later? Or does everything have to be done all at once? I had a huge spill in my oven from dinner, and a plume of smoke came out when I preheated it. So now, my oven is unusable, and was hoping ti use my mom's in the morning. I think if you freeze it, and then bake it the next day (add like aluminum foil around the edges to keep it from burning) it should be good :) Sorry about your oven!! Most white sugar manufacturers in Canada are vegan, which is why I don't mention it.